To link izyPixel to your Facebook Pixel, you first need to create it. To do so, you need to create a Facebook Business Manager account and then, create the Pixel. To learn how to create a Pixel, here is a link to the official Facebook help section: https://www.facebook.com/business/help/314143995668266. Make sure to create the Pixel under an advertising account and not a business account otherwise izyPixel might not find it. 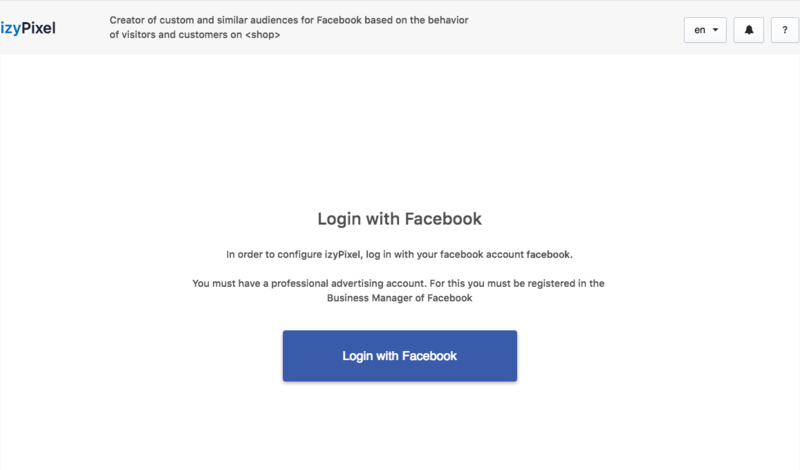 Once the Pixel is created, connect to izyPixel with the Facebook Business Manager Account on which you just created the Pixel and select your Pixel in the drop down list. Make sure to give izyPixel all the authorizations to make sure it works fully and correctly. From there, your Pixel is linked to izyPixel and you can create your audiences by product or by collection. 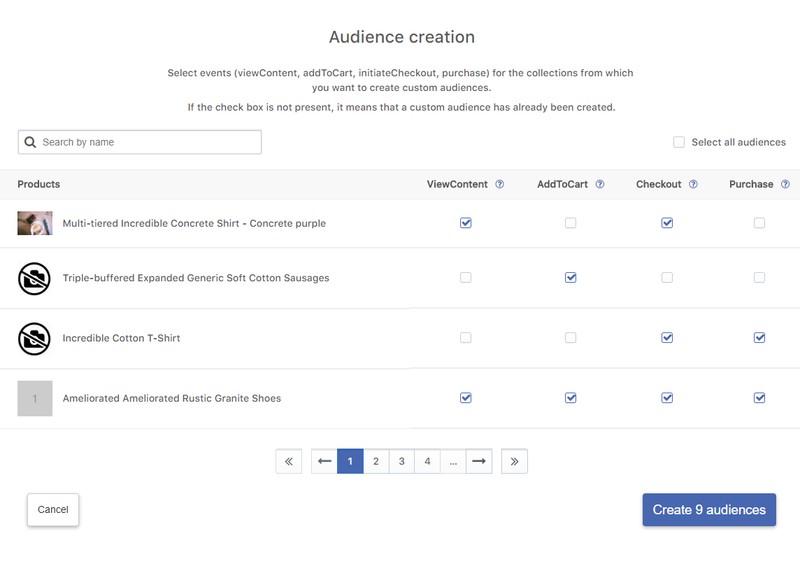 Select events (viewContent, addToCart, initiateCheckout, purchase) for the collections or products from which you want to create custom audiences. If the check box is not present, then a custom audience has already been created. Once you have chosen your events, click on the button "Create audiences" and you're done! Note: Audiences created on izyPixel must be removed on izyPixel and not Facebook. If you need help configuring izyPixel, do not hesitate to write to us on IzySuite live chat!